After Hulk stole the show in Marvel's The Avengers, talk of a new solo movie has persisted, with varying accounts from various different people about how Marvel and Disney might proceed with the character. We know Mark Ruffalo's Bruce Banner is going to have a beefed up role in Avengers: Age of Ultron, but its unclear how the green goliath will be handled moving forward. 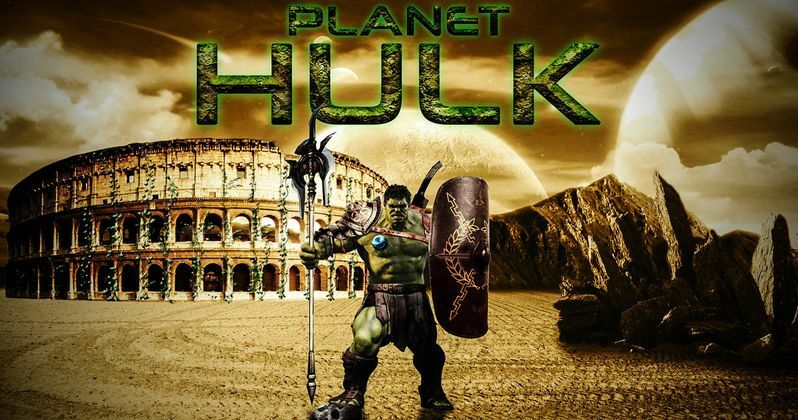 We've long heard talk of a Planet Hulk stand-alone movie, an idea that Marvel's head honcho Kevin Feige continues to champion. One person who doesn't want that to happen though? Mark Ruffalo. ""I don't think [Planet Hulk] is the way to go yet. I think you need more Banner. The whole thing is just him as Hulk, on a planet, fighting other gladiators." He offered this summarization of the plot, which hints at why he might think it's a bad idea. "They launch Bruce Banner into space to try to get rid of him and the Hulk. He ends up freaking out; smashing up the spaceship, and it goes off course and ends up on this planet of gladiator creatures. He falls in love, has a Hulk baby ... and then the Avengers nuke the planet." If this is the route Marvel decided to take, Mark Ruffalo will have to commit to an almost entirely motion capture performance. It sounds like he doesn't like that idea, but he recently said Marvel is considering ways to take Hulk into a new era with a movie all his own. "I think they are, for the first time, entertaining the idea of it. When we did The Avengers it was basically 'No! ', and now there is some consideration for it. But there's still nothing definitive, not even a skeletal version of what it would be. I look forward to going down that road, if we could crack that nut. I think the Banner/Hulk story line is obviously not a very easy nut to crack"
Mark Ruffalo is currently shooting the Marvel Phase Two sequel Avengers: Age of Ultron, which reunites him with his fellow "Science Bro" Robert Downey Jr.. When asked if fans will see more of the "Science Bros." teaming up in Avengers: Age of Ultron, the actor had this to say. "There's lots of Science Bros, yeah. There's some cool Science Bros stuff, very cool Science Bros stuff." When asked if there could be a possibility of a Science Bros movie with Robert Downey Jr., he teases maybe Bruce Banner could show up in Iron Man 4. "Yeah, that would be cool. If they do Iron Man 4, and Banner is in that, that would be very cool." We don't yet have word from Marvel on whether or not Hulk will get his own movie anytime soon. It looks like Mark Ruffalo and Kevin Feige will have to flip a coin on whether or not a Planet Hulk movie actually happens.